So I returned from Sussex Wedding Circle on another high last month! This is a group I run together with Kelly from Not Your Average I Do. We are a group of wedding suppliers who adore the wedding industry and are dedicated to providing a high quality service to our clients. We meet every two months at a different wedding venue. So we get the opportunity to experience a range of Sussex Wedding Venues as guests rather than suppliers. Our hosts for March’s meeting were Long Furlong Barn. As we meet in the evenings, it was dusk as I was pulling up to these beautifully restored, Grade II listed barns nestled in the Sussex countryside. With the sun disappearing behind the horizon, the twinkling fairy lights (which are a permanent fixture) shone with a warm and welcoming glow. Vicki, the Events Manager greeted us and was friendly yet professional. Her enthusiasm for Long Furlong was contagious. She told us it was their 5th Anniversary as a wedding venue, although the family that own it have been farming the location for 100 years! It was a cool evening outside and I know that barns can sometimes feel a little drafty – not so at Long Furlong, it was warm and cosy. It’s difficult to put into words but I liked the feel of the place. It had an easy-going atmosphere and after a busy day I felt my shoulders relax and just enjoy it. We were shown into the Cart Shed where a banqueting table had been laid up for our meal. 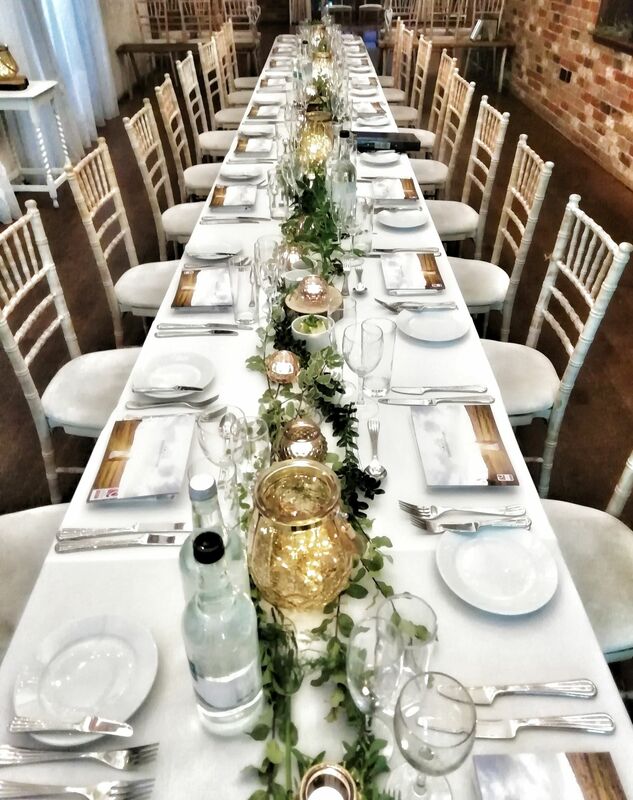 Amanda from Hire Your Day had provided and styled the table centrepieces for the evening and it looked charming and inviting. Resident caterers Circa Events served up some delicious food. Everyone was impressed. Being gluten and dairy-free, I am a difficult customer when it comes to dessert. Yet, they brought me a yummy pudding which left me wanting more! Liv from Circa Events gave a presentation on the current, top food trends for weddings. Sharing feasts and street-food vans are riding the crest of the wave at the moment. Circa can deliver either of these options as well as your more traditional banquets and three course meals. 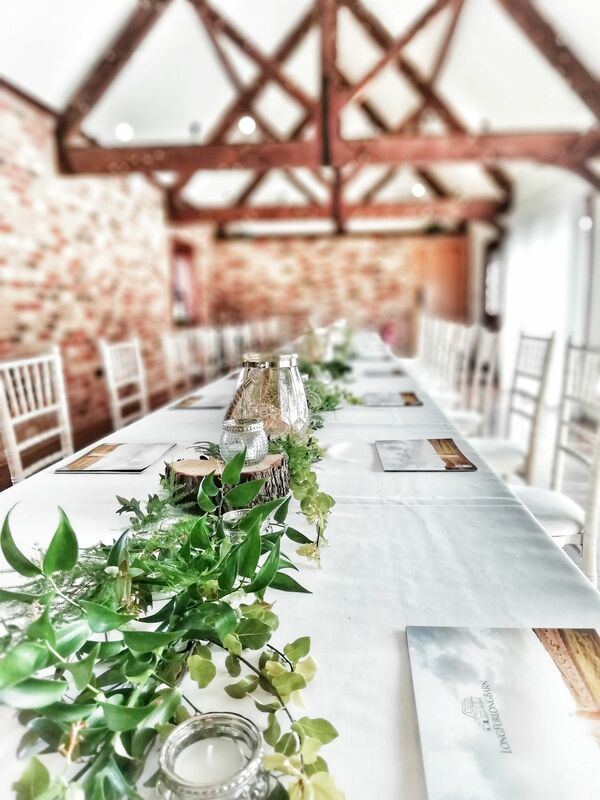 If you want a barn that stands out from the crowd in terms of its picturesque looks, professional team, great service and wonderful food, Long Furlong is a must see!